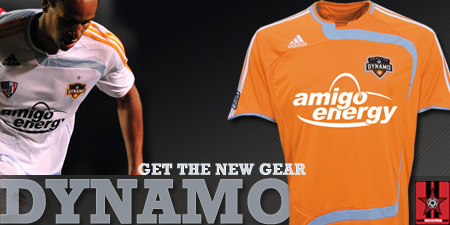 This week, the Houston Dynamo announced details for 2013 season ticket packages, which begin at $400.00. These packages will include the 17 home MLS matches and three CONCACAF Champions League matches. New this year is a Family Season Ticket package which includes $200.00 pricing for children under the age of 10. Seats included in this package are only located in the Texas Children's Health Plan Family Section, a/k/a Section 201. 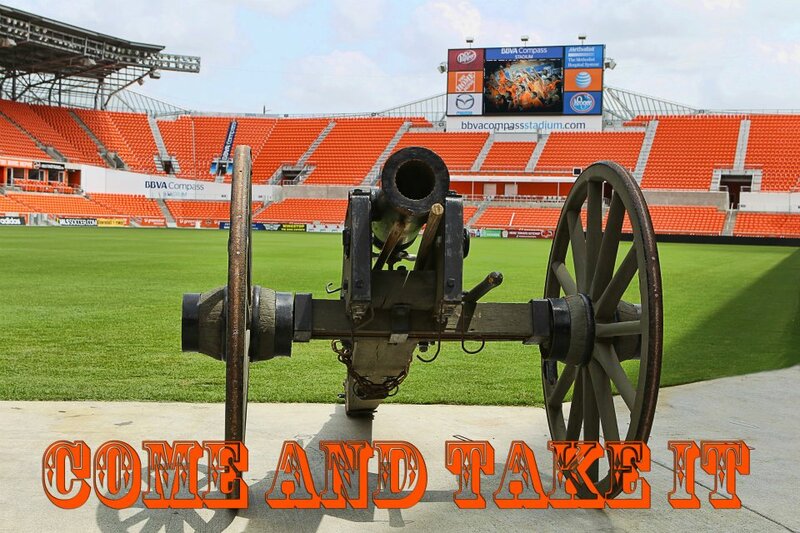 In addition to season ticket packages, the Dynamo are also offering 10-game and 5-game plans. Full season ticket packages include perks such as playoff ticket priority, access to private events, access to the flexible ticket exchange program, and a VIP card providing discounts at the team's store and with some Dynamo sponsors. To obtain more information on Houston Dynamo tickets and ticket packages, click here. 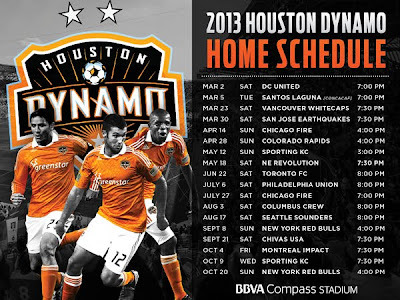 The Houston Dynamo's 2013 MLS season starts with a visit to BBVA Compass Stadium by D.C. United on March 2, 2013. The match is scheduled to start at 7:00 p.m. local time. 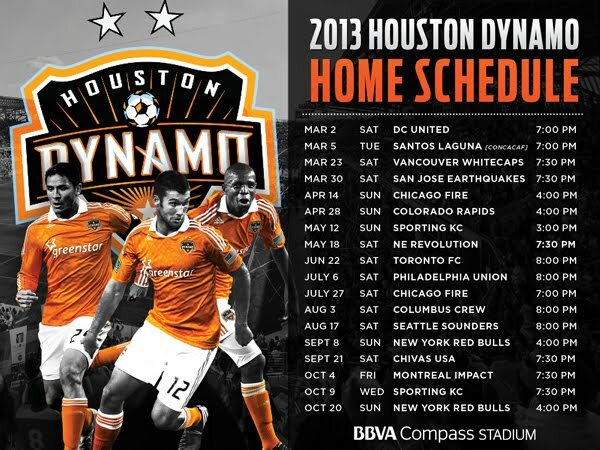 Click here for a look at the Houston Dynamo's full 2013 schedule.